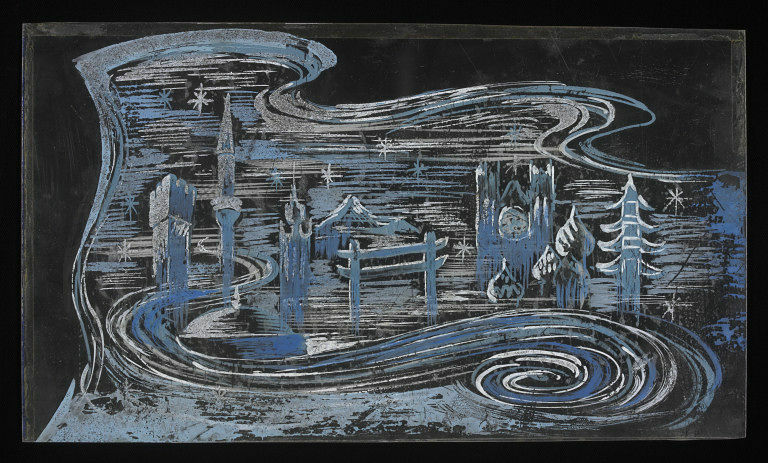 Set design for 'The Wonderland of the World: The Frozen North' in the pantomime The Sleeping Beauty London Palladium, 1958. 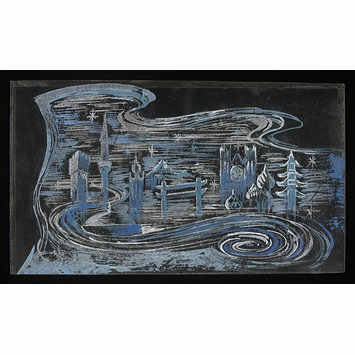 Gouache and glitter on vellum set design for 'The Wonderland of the World: The Frozen North' in the pantomime The Sleeping Beauty London Palladium, 1958. The design depicts a winter setting with various strutcuutres from around the world. There is a castle tower, a cathedral and an Asian pagoda.